Most mornings, we have a Circle of Power and Respect in our sixth grade classroom. It’s a version of Morning Meeting, aimed more for older students. At this point in the year, I have my students lead all aspects of our morning. One element of Circle of Power is the initial greeting, and there are all sorts of variations of activities that one could do, and I encourage my students to invent their own way of saying hello to every students in the classroom community, and making sure everyone feels welcome into the day. I did a little double-take because as soon as he said it, there was a lot of laughter in the room. I had never heard the phrase, but I could sense immediately this was some sort of online joke, video, game or meme that was outside my field of vision. The student told me the phrase was from a game that became a meme, and he assured me it was not inappropriate for school. I decided to trust him, and the phrase of “Do you know de wae?” made its way around the circle. Later, I immediately went into Know Your Meme, a database in which memes are deconstructed and traced back to their origins. 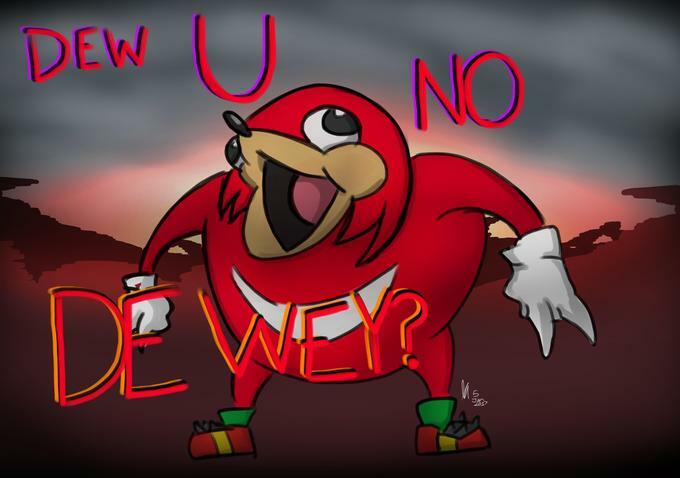 According to Know Your Meme, the “Do you know de wae?” and found that it originated from a character in a Sonic the Hedgehog game called Uganda Knuckles. The meme has gone in all sorts of strange directions. There have been accusations that the meme has racist overtones, however, with the pronunciation in fake African accent and may be built upon African stereotypes. Roblox, a very popular gaming platform site, apparently even banned the character from its server games because of concerns about negative stereotypes. After talking some more with my students about using the meme, now that I had some information to speak from, I realized that they were not even aware of the racist possibilities. They were just amused by the funny character who repeats the same ridiculous phrase over and over again. Still, a discussion helped frame the meme, and I haven’t heard it in the classroom since then. I did ask my own 13 year old son when I got home that same day if he had heard of the “Do you know de wae?” meme. He goes to a different school in a different community, with a different crowd of kids, and he immediately knew of the meme, too. (A year or so ago, we had a long discussion with him about using Pepe the Frog and he was startled by the how the far-right had appropriated that meme for its own dark purposes.) Needless to say, he immediately knew the meme and said many kids in his school were saying it in the hallways, as they moved from lockers to classrooms — sort of as a directional sarcasm of the school-day experience. All this goes to show the cultural power of memes and the difficulty we adults have in understanding their stickiness, never mind the origins and the mad rush of social sharing across platforms. Memes often are part of the language of youth, even if they don’t always comprehend the underlying cultural appropriations and potentially negative messages embedded in the memes they use. 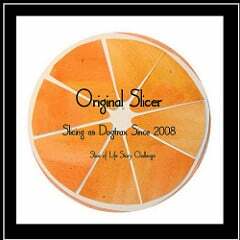 This entry was posted in my classroom, NetNarr, Slice of Life. Bookmark the permalink. Thank you for this post! I needed it. I have been in the same situation multiple times and, I confess, sometimes I do have that knee-jerk reaction. You’ve given me valuable advice and a great resource. I didn’t know about that website, know your meme. Thank you, I learned something new and it’s not even 6am! All good things happen before 6 a.m. for the Sunrise Writing Club. You know that! Know Your Meme is incredibly valuable. Kevin, thanks for your slice. Memes are the dialect of my house these days (a teen and a tween). That’s one I have heard, but hadn’t considered the origins of. Maybe memes are the new fodder for close reading something students care about. Not sure how I’ll pull that off at the dinner table, but definitely something to think about. It’s a tricky cultural concept to navigate – mostly, kids shut down talk about memes because it is another way adults are spying on their secret language. I LOVE memes! I’m pretty sure I was thinking in memes a long time ago! But if I were to talk about it now with this generation of kids, I’d be looked at as “that dorky adult trying to be a kid.” 🙂 Oh well. Thanks for sharing about this interaction! I love your thought process when thinking about your answer to your student leader’s response. So thoughtful! My grandsons say things all the time that I know aren’t appropriate, so I have to tell them not to say it. And they always ask why and say,”It’s not bad.” It seems they don’t know what these memes or other clever sayings mean that they hear online, on shows, etc. They just say it because they know it’s supposed to be funny. It was good of you to look up the meaning and explain it to your students. Did your students decide to abandon the phrase? Your post raises important questions about whether or not certain language is or is not racist when the user is unaware of the etymology and cultural undertones. Now my mind is thinking about ways to address this issue w/ my speech students. Good for you for taking the educator’s high road. My knee-jerk reaction is *always* to shut it down. I wonder how many learning opportunities I’ve cut short– for me *and* students?